There are several mobile applications running in the market but one of the components which makes FieldEZ shine out from its competitors is the fact that it is a native mobile application. FieldEZ’s field service management application works both online and offline giving you and your employees a hassle free and seamless working experience. This warranty management software is much more flexible and sorted than hybrid or HTMLised softwares.It is user compatible and synchronizes data as soon as the user gets online on switches the wifi on and since it records on the go and auto-update once there is an internet access, you don’t have to go through the pain of switching on the internet or for scribbling the data on a notepad and later uploading it on the software when you have internet access. This field service management application also sends an SMS to the users mobile phone as an add-on feature which makes life easy for the field staff managers to disseminate messages to the field service staffs altogether. 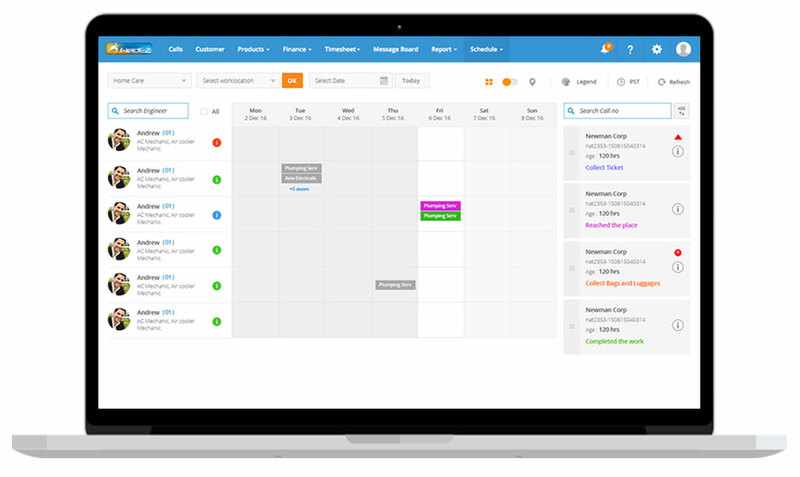 FieldEZ’s scheduling app is also synchronized with EXOTEL which helps in taking better and quicker decision making it less time consuming for your field staff managers.